De'vo vom Schattenreich is a Blackjack dealer in Colorado, but not your average blackjack dealer. De'vo tests out the new Dominion Specials Playing cards yesterday in his special card training room. 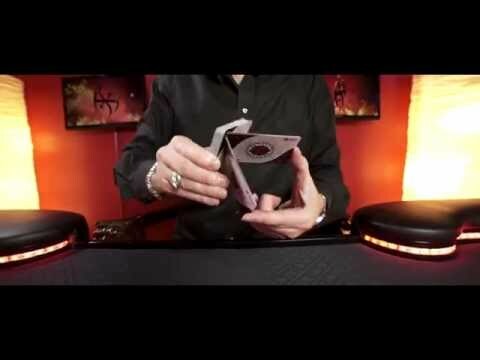 Source: NOT YOUR AVERAGE BLACKJACK DEALER – De’vo’s Training Room (Youtube).